A bit of a light reading week.... but still managed to accomplish some good things. Be sure to stop by Teach Mentor Texts to find links to other posts sharing their weekly reads! Thanks, Jen and Kellee! 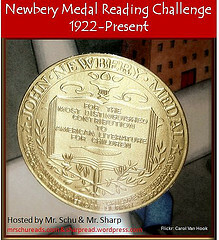 Another Newbery bites the dust! Onion John was an odd piece, but enjoyable. Kind of "whack you in the face with the lesson" though. The way the town treated Onion John was a lot like the patronizing way Native Americans are often handled in texts from the early Newbery books. 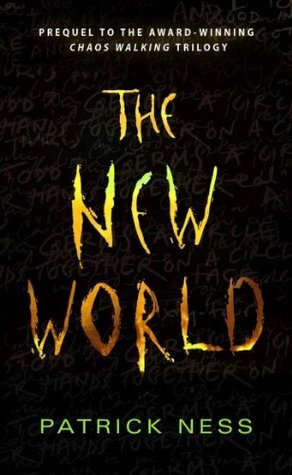 Listened to the Chaos Walking prequel - The New World. It was good, but I missed the extremely unique voice of the first novel. I'm planning to listen to the second book in the series next. 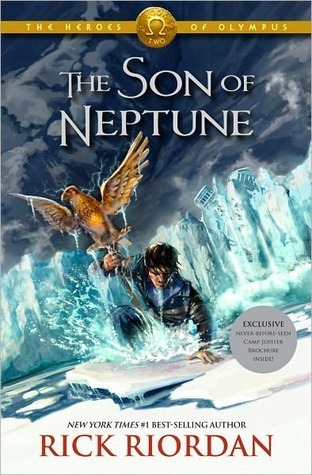 I finally finished The Son of Neptune with my younger son. He adored this book, and I loved the humor and adventure of the story. It's funny - the younger one always sticks with a book with me at bedtime, even when it takes forever! The older jumps around, having me read a few nights from one book, and then choosing another. Usually they are books he's already read. On to Mark of Athena! Two books for my Feminist Reads Challenge this week..
Bad Girls - a cool concept! Prose description of each life, followed by a short comic that has Jane Yolen and Heidi Stemple discussing whether the woman deserves to be considered a "villain" or not. I'm always discussing with my students how the "context of a time" must always be remembered when we talk about historical figures, and I loved how this was highlighted in Bad Girls. I'm so happy that the ALA Edwards spotlighted Tamora Pierce this year. I've always meant to read her books, but never got to it. It came out in 1983 - I would have been about 11. HOW did I not read these books then? Totally would have rocked my world. Don't forget to check out some of my other posts from this past week! 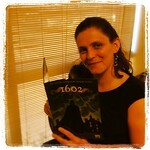 Treat Tuesday - Dragons and Black Holes and Heroes, Oh My! 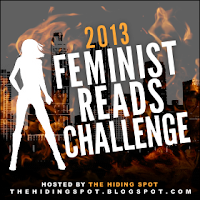 Nonfiction Top Ten - #NF10fo10 lists on Twitter, too! Bookish March Madness - hear how two colleagues and I started setting up a March Madness for our students. Sci Friday - I review Herbert's Wormhole, a funny starter science fiction for middle grade readers.